I don’t know any parent that doesn’t want their kids to grow up to be as healthy as possible and yet there are still so many parents that feed their kids unhealthy meals. I understand that life gets in the way so sometimes a McDonalds run might be necessary but if that’s the norm instead of the exception, that can lead to future problems. I’m a big fan of the ketogenic diet and how it has transformed my life and I plan on slowly introducing it into my kids’ lives as well. Because I don’t want them to suffer from carb comas or lack mental concentration in school. I want them to be able to live life to the fullest and I believe that keto can help them achieve that. Now, because kids live kids’ lives, it’s hard to keep them 100% on keto. I’m not going to deny my kids some birthday cake at a party or pizza at school when there is a celebration. However, it’s important for me to keep the keto mentality in their lives whenever possible and this means that whenever I provide them with snacks, they will be keto snacks. 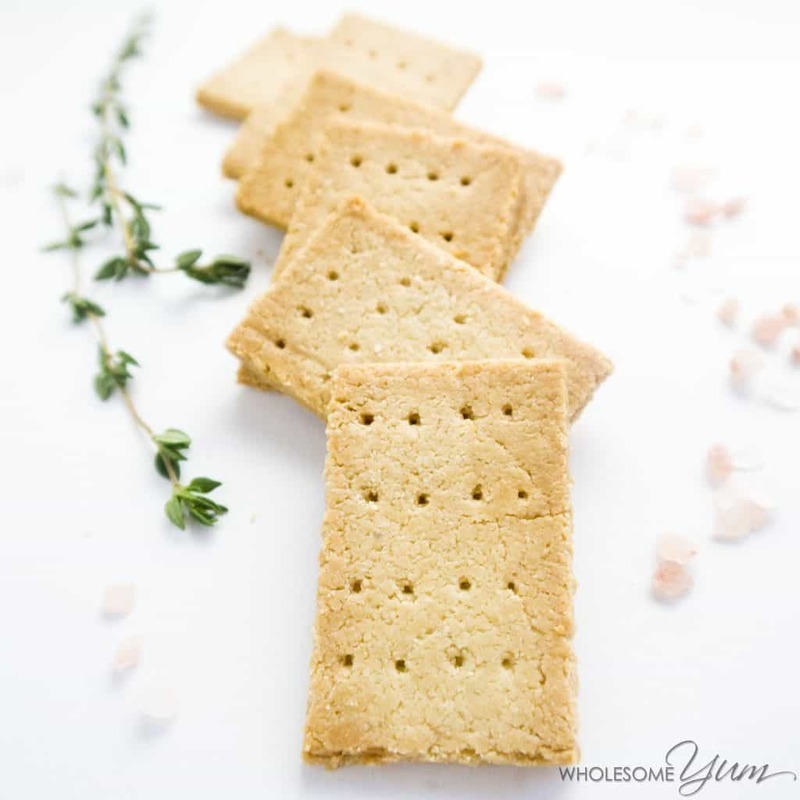 Because my kids seem to be snacking 24/7, it’s important that I provide them with healthy alternatives and this means that I not only need to be prepared with the right stuff in the fridge and pantry, but I also need to ensure that the snacks are good! There is no point in trying to get your kids to eat healthier if they don’t enjoy the meals. You still want them to enjoy food, not think that everything is made out of cardboard. 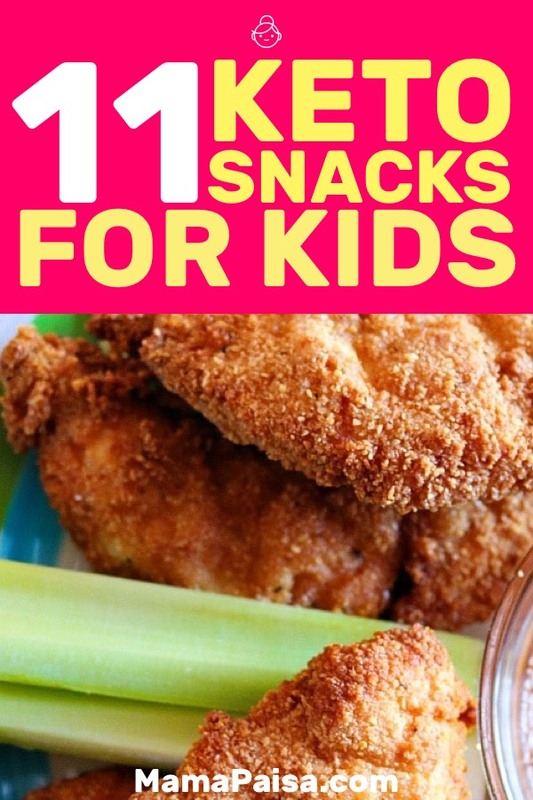 So what I’ve done is put together 11 keto snacks that I think are great for kids. Let’s check them out. 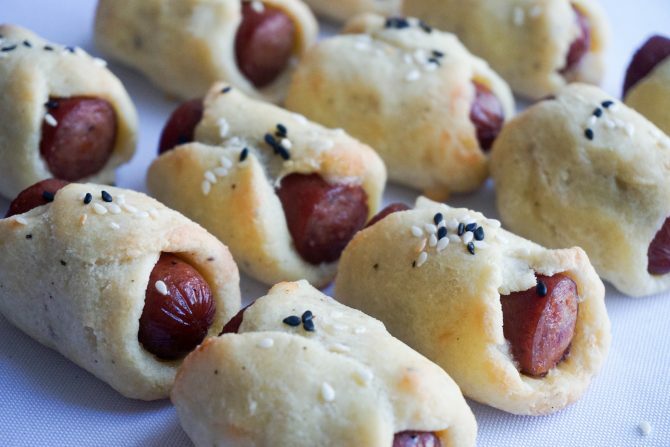 Who doesn’t love some good ol’ fashioned pigs in a blanket? 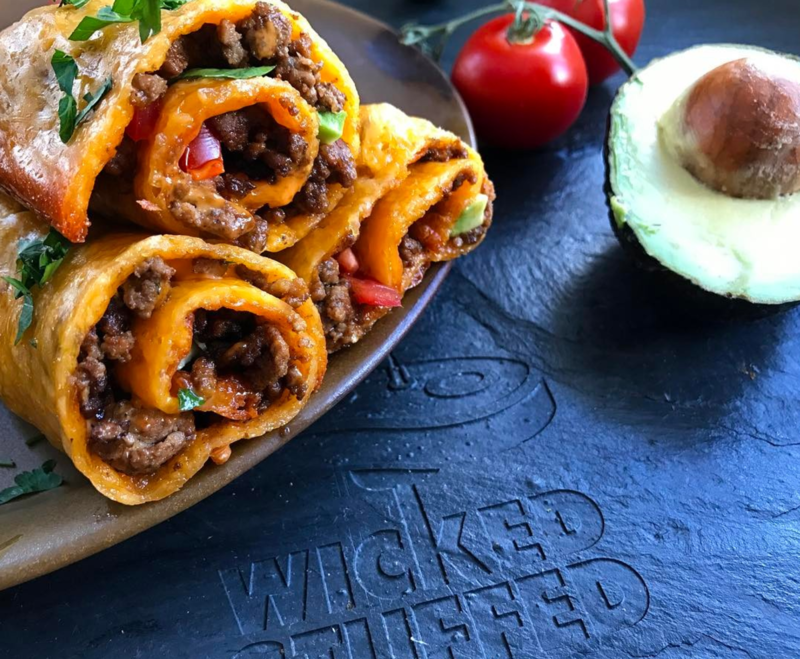 This Keto Pigs In A Blanket recipe is so easy to make, the kids can even get involved if you’re okay with that. However, don’t get so lazy where you think your kids can do all of the work! In the keto world, cauliflower is kind of like tofu in the sense that it’s used for so many things. Of course, in the keto world, tofu is tofu but hopefully, you get the picture. The idea behind this meal is that everybody loves tater tots, but instead of adding the carbs (starch) of potatoes, you can give them the healthiness of cauliflower and they won’t even tell the difference. 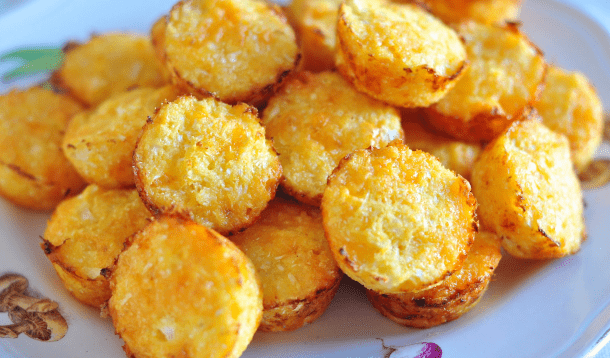 The macros below are calculated using 2 cauli-tots per serving. It’s pretty easy to get any kid to eat chicken tenders unless of course, they hate chicken. The only issue with chicken tenders or chicken nuggets is the breading. 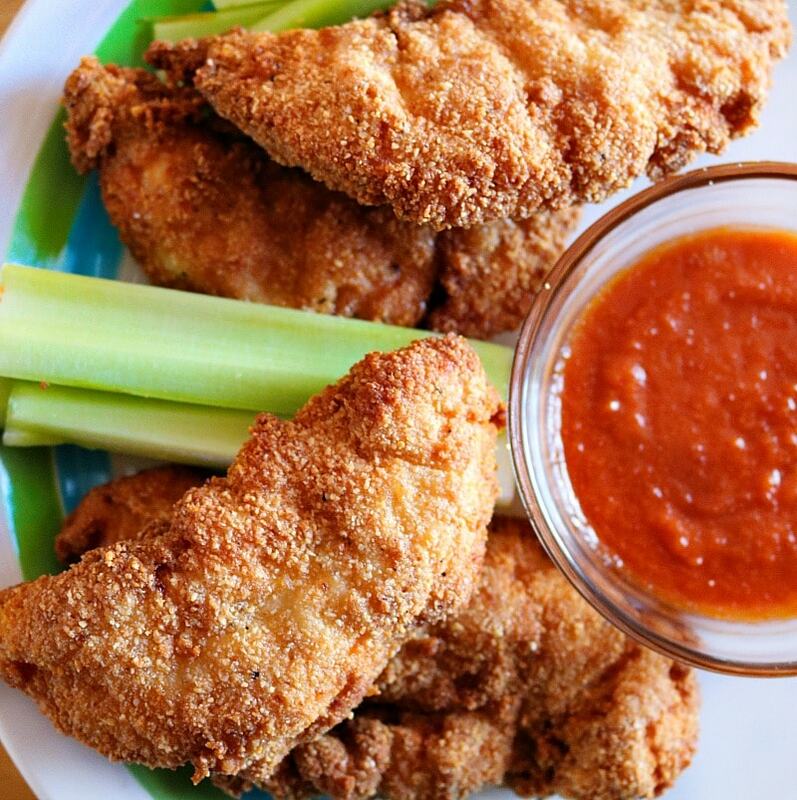 If you can figure that out then you’re good to go and this recipe helps you solve the breaded dilemma. 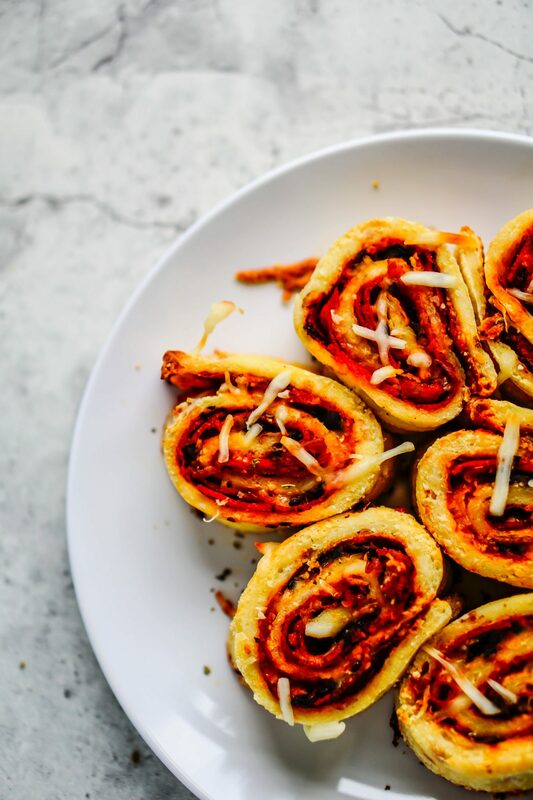 This recipe will be a hit with kids and adults alike. It’s always a good idea to keep crackers around. Fortunately, you don’t need to keep the carb heavy type of crackers around. 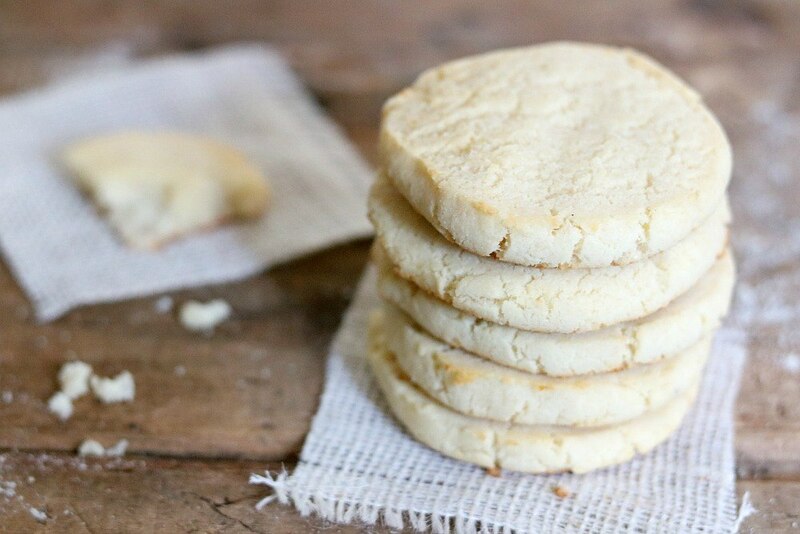 Just make these crackers, store them in a container so they stay crispy and you are good to go. This one might be a stretch for some kids but if you kids like tunafish and pickels then this is a funny little treat for them to ahve. Hell, this is a great treat for adults so if you do make these just make sure you share some with your kid. They need to eat as well. They do! Don’t look at me that way. Just like with the cauliflower tots, sometimes you have to mask the vegetables that kids hate into something more reasonable for them. When I was a kid the only way I could eat broccoli is if it was doused in cheese and thankfully cheese is just fine on keto. 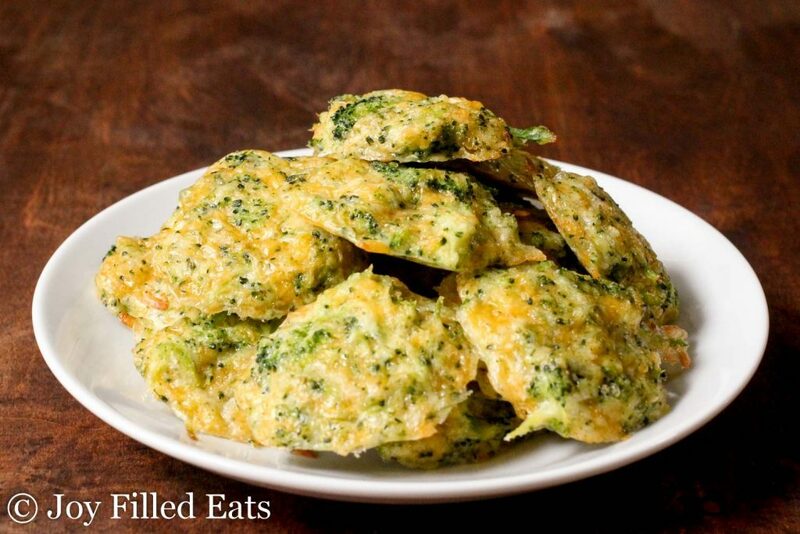 So chop them up and then cheese them up to enjoy this delicious snack. Okay, this might be the only section that kids like but that’s not important. 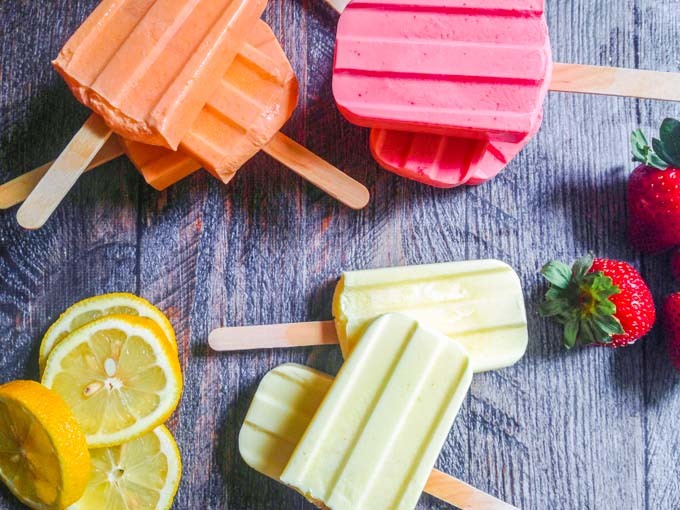 What’s important is that you can provide your children with the sweets that they crave but in a form that is actually good for them. The first example is this gummy candy and to be honest I didn’t even know this was possible. Thankfully, there are smarter people out there in the world to figure these things out. Just make sure they don’t eat them all in one sitting. I must admit that I love ice cream. Actually, anything that you can buy at Coldstone I will devour. It’s why I don’t go to Coldstone anymore. 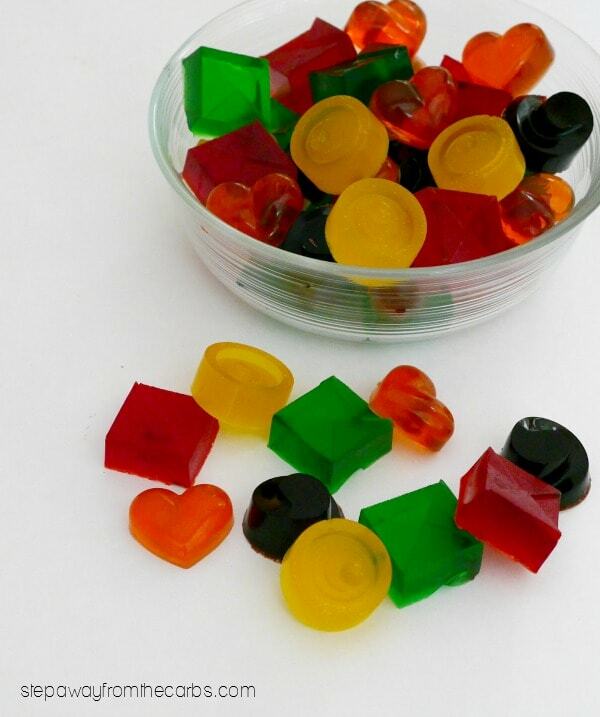 While this isn’t the only keto dessert made from Jello, it is the one that your kids can have fun eating. The rest require you to actually sit down but who wants to sit down when they are eating dessert? 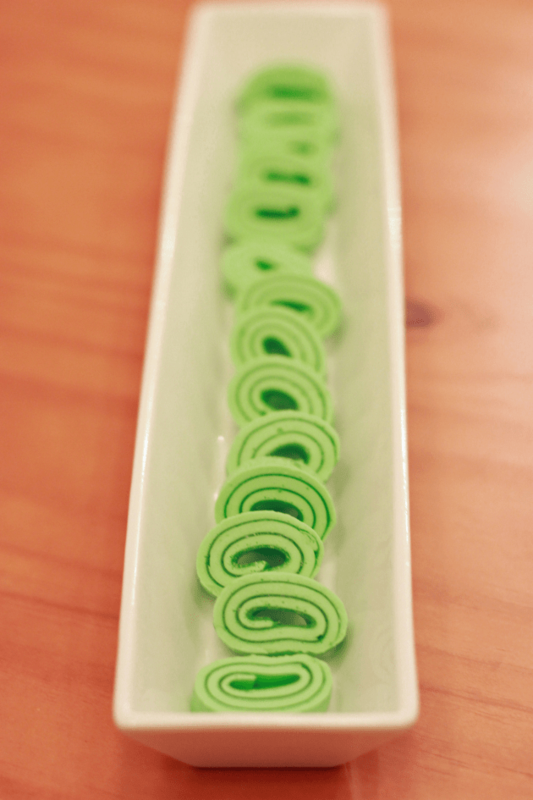 Forget fruit roll-ups, it’s all about Jello roll-ups. Wait, didn’t I already say the recipe above was the one Jello dessert that you could safely walk around with? Well, I guess I was wrong because you can definitely walk around with these Jello roll-ups. I mean, is there much more to say about this recipe besides “cookies”? That pretty sums it up. I love them. You love them. Your kids will love them and that’s what is really important. I wanted to throw in a couple of bonus fun snacks because I love you and I want the best for your children. Image credit goes to Wicked Stuffed. It’s really tragic about what is happening with today’s youth. Every year our children are getting fatter and it isn’t their fault. As parents, we really have to be conscious of the foods that we give our children. 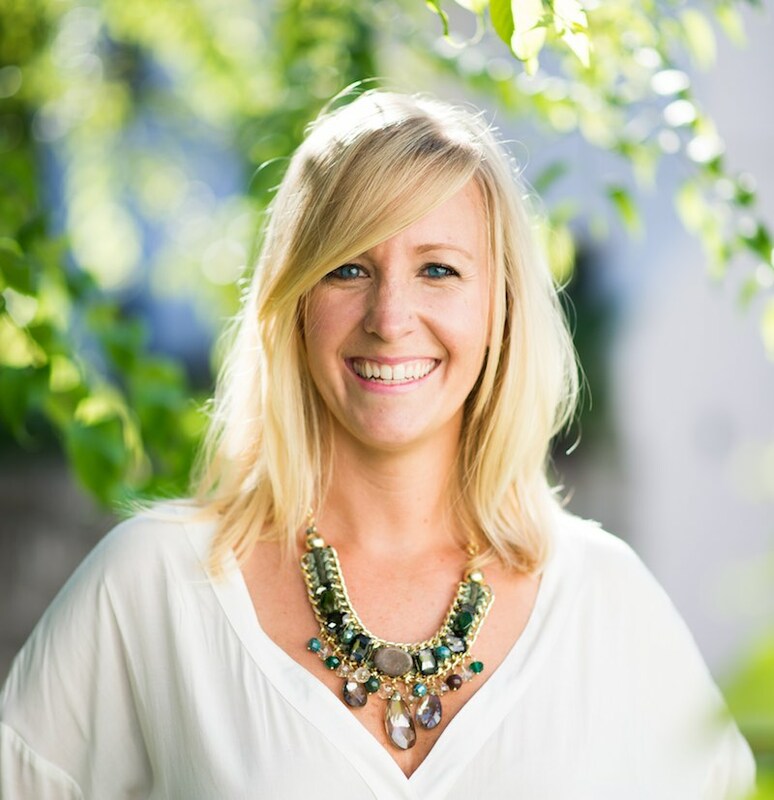 If you’re looking to learn more about the ketogenic diet or are ready to take the leap then check out our Keto Bootstrap program where we offer 1-on-1 help with getting acclimated to keto. And yes, if you’re wondering if you can bring keto lunches with you to work then the answer is yes! 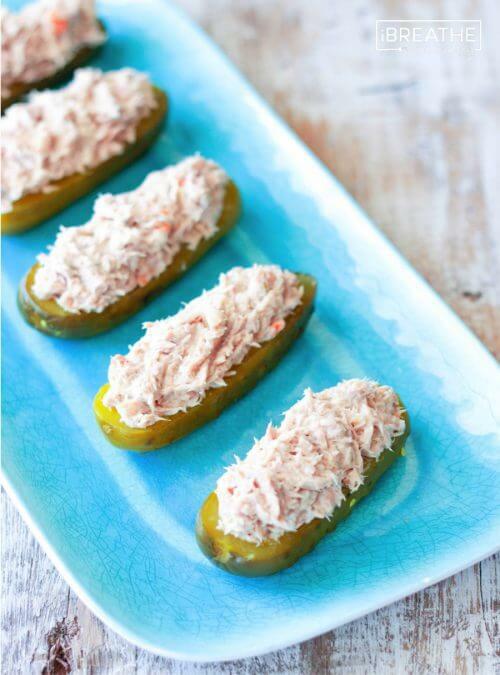 Check out Keto Lunch Ideas: 9 Delicious Recipes for Work or School to Help You Stay in Ketosis.